Crowding is the lack of space for all the teeth to fit normally within the jaws. The teeth may be twisted or displaced. Crowding occurs when there is disharmony in the tooth to jaw size relationship, or when the teeth are larger than the available space. Crowding can be caused by early or late loss of primary teeth, or improper eruption of teeth. Extra space can be created by expansion of the arches or extraction of teeth. Once space is created, braces will eliminate the crowding and align the teeth. Correction of crowding can help prevent dental decay and periodontal disease by improving the ability to remove plaque from the teeth. Spacing, the opposite of crowding, is an excess of space for your teeth, resulting in gaps between your teeth. This generally occurs when the teeth are smaller than the available space. 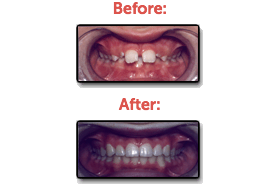 Spacing can also be caused by protrusive teeth, missing or impacted teeth, or abnormal tissue attachments to the gums. The spaces can be closed by moving the teeth together and properly aligning them within the arch for tooth replacement. 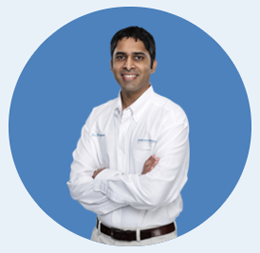 A bridge or dental implant are restorative options if a space is created.